This review was made possible by Double Duty Divas and Pampers. I was provided product free of charge to facilitate my review, but all opinions are 100% mine. Bringing home a new baby is such a joyous occasion, but it can be scary and overwhelming at times. Preparing yourself for what you might expect is the first step in helping you feel confident. Be aware this post is a little TMI as it is about baby poop. But as a new mother (or expecting) this is something you will be thinking about more than you ever thought you would. You will need to keep an eye on your baby's poop color for the first two months of their life because if something is off then something could be terribly wrong. So it is important to know what is "normal". When SweetPea was a newborn, she was exclusively breastfed and although she had plenty of wet diapers, she hardly ever pooped! This was new to me. Every baby I had been around would poop daily, if not more frequently. I worked at a day care and was a nanny, but hadn't been around many exclusively breastmilk fed babies. Peanut on the other hand was the complete opposite! And then his poops turned green. Turns out his lip tie was making him only get the foremilk or I could have had an oversupply, either way he was only getting "sweet milk" and not the fatty hind milk which can make their poop green. But green is still a normal color of baby poop! But not only was his poop green he was also going more often, so much that he ended up with diaper rash. Do you know what causes diaper rash? Do you know how to get rid of it? Diaper rash is awful and can be caused by so many different things. I suggest getting some good diaper cream and letting your baby roll around on a blanket without a diaper for a few hours. 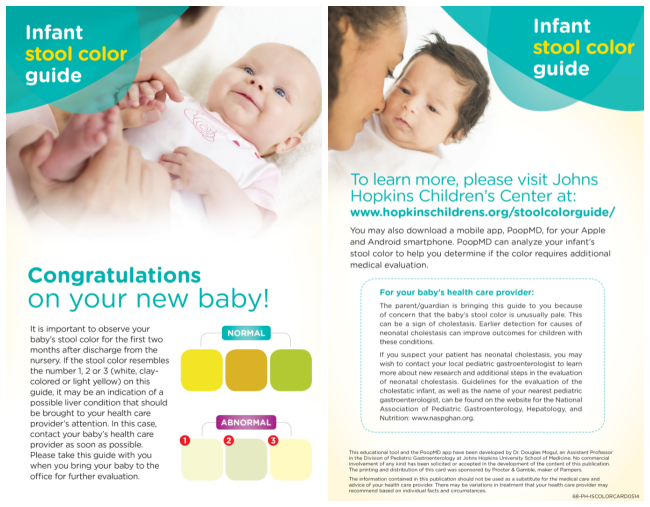 Pampers created the Stool Color Cards (pictured above) and a Diaper Rash Infographic to help new moms ease into the transition of Motherhood. These helpful assets will be distributed to hospitals Nationwide so new Moms are armed with the information to march confidently through those first few months. 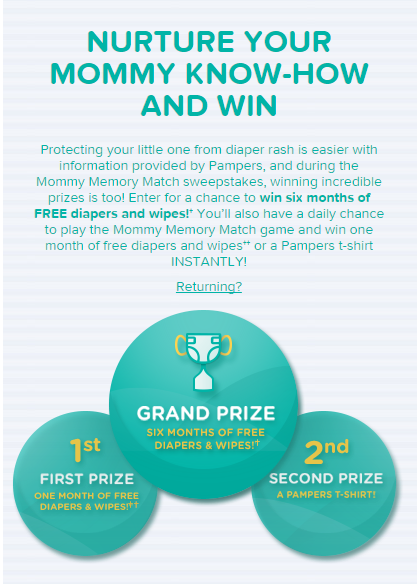 Pampers is also having this awesome Mommy Memory Math Sweepstakes with some awesome prizes. I won a month's supply of diapers, so anyone can win! 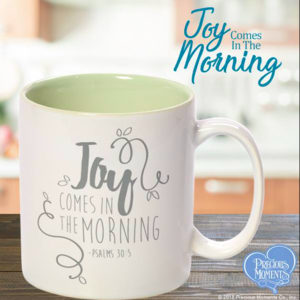 Make sure to follow along with Pampers on Twitter and Facebook for more info. I am excited to be giving away this awesome prize pack valued at $100! Entry is simple. Just follow the prompts on the Rafflecopter below. Open to US only (sorry) and must be 18+ to enter. Thanks and Good Luck! Click HERE if you are having issues getting the form below to load. Nanny to Mommy is not responsible for sponsors who do not fulfill prize obligations. Open to US only, must be 18+ to enter. One entry per household/IP address. Although Nanny to Mommy received complimentary items to provide this review/giveaway, all opinions are our own. Winner is chosen via random.org, ALL winning entries are verified. This post contains affiliate links. What worries me is that this dry for longer and can sleep through the night calm and happy. I always worry about if I feed her to much or not enough. I also worry that I won't hear her during the night. I always worried about SIDS. I worried about everything! SIDS is a big one. That I am not giving enough love/attention. I'm due in February and my biggest worry is breast feeding. I hope I can and that it works out well. I'm due with baby #2 in May, I'm not terribly worried about too much, except maybe the adjustment of my little girl not being the "baby" anymore. I was so worried about SIDS, I used to wake up constantly just to go check on him. I am always worried that I am not going to raise her well. I worried about sleep, milk supply, and a myriad of other things. SIDS, definitely SIDS. Constant checking on all three of my kids! Worried about choking and Sids! When my daughter was a newborn we were just kind of constantly worried about every little thing, it took a bit for the wide-eyed, uncertain new parent thing to wear off! I worry about whether or not I'll be able to handle my other boys and the newborn! I think I worried the most about somebody taking them from me and SIDS. I worried about her getting enough to eat. I breastfed, so it was hard to tell how much she was getting. If they're getting enough to eat. It's hard to know sometimes! her diaper rash and bowel movements. She has to drink similac allimentum after trying 5 other formulas that still gave her diarhea. she is 6 months now and the allimentum her pooping is normal and she only goes twice a day now. the only problem is when she goes she automatically gets a rash no matter what kind of cream powder, pamper, wipe, or soap i used. I am just so fed up with formulas period. i think i may buy vitamins and make my own formula with evaporated milk water and sugar. I use to worry about nutrition and weight gain. Now I have grandkids from my six kids and I mostly worry about them when a fever is involved. I worried about everything! haha! Not sleeping enough, eating enough...not breathing...you name it! I worry about their breathing at night! I worry about them sleeping well because that affects the whole family. Mostly sleep and breastfeeding issues. One of my babies was born right before 9/11, and I worried a lot about what sort of world we'd brought him into. I worry about when she is such & getting sick. I always worried that I wasn't feeding them enough. Right now, I am worried about my twin grandsons that are not supposed to be born till end of Jan. My daughter went into labor last week and they are saying any time she can go back into labor and they won't be able to stop it. I'm worried about a lot..mostly his health. I think I worried about everything when my daughter was little. I was afraid she wasn't breathing so I would watch her little chest. I was afraid she would get choked when she was nursing. I worry about SIDS and about her getting sick. Am i going to mess up? sleeping. it always freaked me out. she was such a shallow breather! I worry about everything. Real and imagined. Most about my child health and safety. Nursing! I always stressed if he was getting enough. Our new baby on the way i am going to try to relax more!! I worry he will be sick or I will drop him or I won't know what to do if he gets sick, there's a number of things to worry about. I worry that my newborn baby will get sick and I will be terrified of a fever. my newborn is 9 days old now. I'm worry about SIDS. The first bath at home was a bit of a challenge for us! I worried about doing that! I worried if my newborn was eating enough. this would be our second child, i don't worry as much as the first time....would be a perfect gift i'm due on december. I always worry about nutrition. I was so worried about her getting the right nutrition and making the right choices when it comes to that. Expecting my second child, I worry how fragile she will be! They are six years apart and I'm hoping I remember all the important things to care for a newborn. 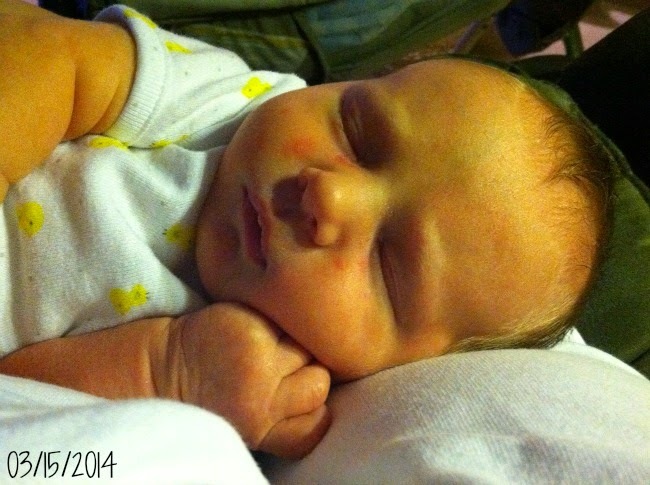 I always worry about SIDS and my little one's reflux problem! I always worry about SIDS, couldn't even imagine it happening! I worry about SIDS and if they are getting enough to eat. I always worried about SIDS , it's pretty scary. I was so worried especially about feeding the baby enough!! I worried about SIDS with all 3 of my babies! I think it is natural to worry about everything when it comes to having babies. 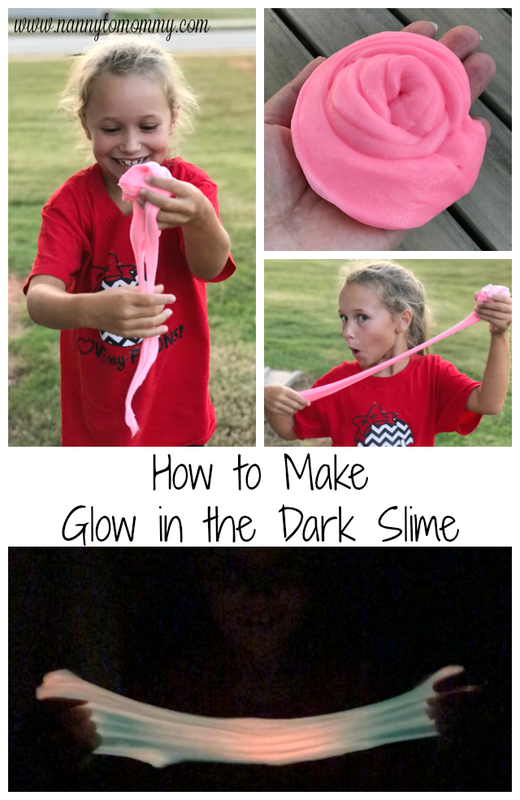 I have a nearly 2 year old and Im still a constant worrying mess! I likely will be until she is an adult! There were always two things I worried about. The first one, of course, being SIDS. And the other one was colic. I know how bad babies hate it and how much it messes with parents. I cannot even imagine! 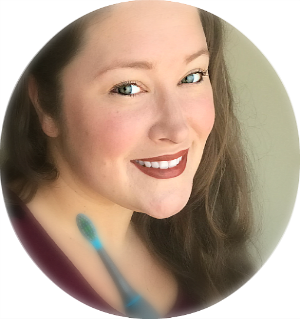 For my son, I was a new mom and I worried about how people would judge me for winding up bottle feeding when breastfeeding was not working for us. When I had my daughter, I had decided not to let anyone judge me for deciding to solely nurse her. But I did worry however about her umbilical cord stump healing properly. I am pregnant with #3 and I am worried about his umbilical cord. He has a 2 vessel cord rather than a 3 vessel cord that most babies have. It can cause defects and other issues such as small birth weight. I still have 6 weeks to go and he is already weighing in at around 7 lbs and measuring 38 weeks, so I doubt low birthweight will be an issue! I always worry about whether I'm keeping them too warm/too cold. I worried about her spitting up so much. She ended up needing a special formula. With my first I worried about EVERYTHING! I worried when they got diaper rashes or I couldn't figure out why they were crying. I worry about SIDS and being gentle enough! I always worried about their breathing since we have a history of asthma in young children. I always worried when they got sick, very scary sometimes. Paula C.
I was so worried about SIDS! We were very careful! I was worried bout SIDS, dropping him because of falling asleep while breast feeding, and a lot more. I lost a son to SIDS 7 years ago so that's been my biggest worry since I brought home my t kids after him. I think a big worry is their health and being able to figure out if something is wrong. Baby #1 everything and more, Baby #2 a little less Baby #3 (16years after #1) not very much at all. My biggest worry was one of our cats who was a snuggler. I worry about SIDS all the time even when the kids get older I'm still very careful about where they sleep and what is around their bed when they sleep! I always worried that my newborn wouldn't feed properly and I'd get mastitis.